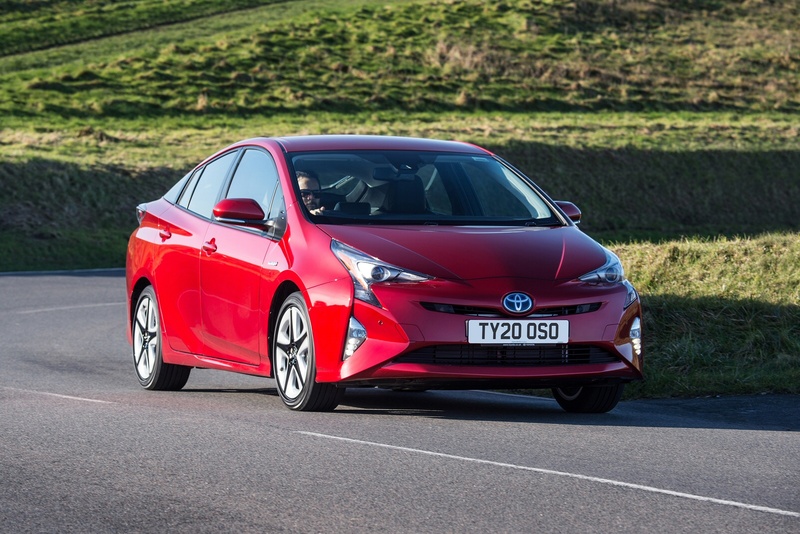 Toyota's Prius remains the most recognisable hybrid vehicle on our roads and has been much improved in this revised guise, principally with the option of 4WD. There are smarter looks too, a nicer interior, more equipment and extra safety kit. Otherwise, things are much as before, a clever hybrid powertrain delivering a set of efficiency returns that emphasise this car's superiority over comparably-priced diesel rivals. Welcome to the car that in its first two decades of life re-shaped the global automotive landscape, bringing hybrid technology into the mainstream market, while focusing the motor industry's attention on the way its products could be cleaner and more efficient. Toyota's Prius did all that and in this rejuvenated MK4 model guise, aims to continue to set those standards, building upon quite a heritage of ingenuity. At its original launch in 2016, this MK4 model aimed to widen its appeal beyond enviro-conscious folk, hence a smoother drivetrain and extra interior space. Now it's improved its safety credentials and added in the option of 4WD. 'You look smart: you should drive a Prius', Toyota's advertising tells us and around the globe, millions of drivers are doing just that. Hybrids are known to be much heavier than traditionally fuelled cars because of the big pile of battery-cells that provide the electric power. What is crucial to handling though, is where the extra weight is positioned. Toyota's modular architecture allows the centre of gravity to be lower and closer to the middle of the Prius, which translates into a better balanced ride for passengers but not a car you would ever describe as 'sporty'. It takes a fraction longer to get going than you might expect. 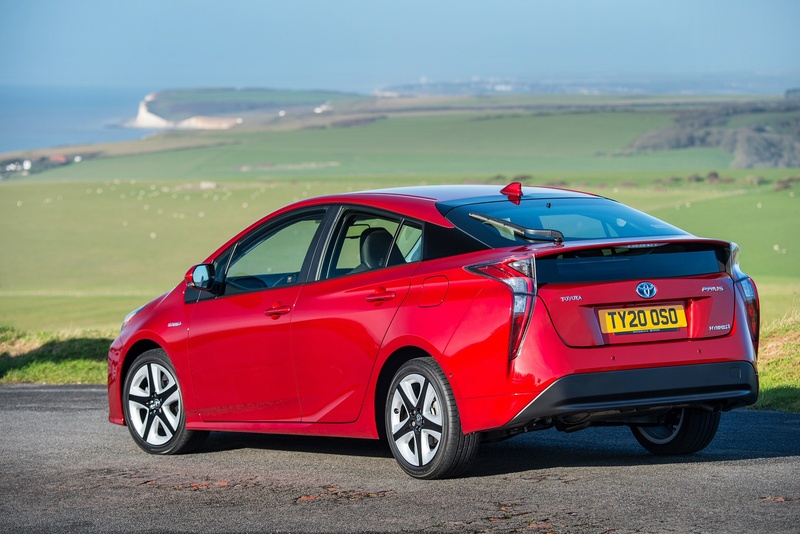 The nickel-metal hydride battery pack gets the electric motor turning first and only when the Prius starts to pick up speed does the familiar 1.8-litre petrol engine fire up and seamlessly take over, allowing 62mph to be reached in a respectable 10.6s. The engine can be switched off if you need to run entirely on batteries, say, through Central London's Ultra Low Emissions zone. You can run on batteries more much longer with the pricier Plug-in version of this design, but that's not our focus here. The big news with this revised model is the option further up the range of AWD. This set-up uses an additional, independent rear electric motor to automatically activate the rear wheels to help those at the front when pulling away, or when low-grip conditions are detected. At higher speeds - between 6 and 44mph - the 'AWD-i' set-up also comes into play, transferring torque to the rear axle when sensors detect a loss of grip. The Prius has always been styled to make an eco-statement - and nothing's changed there. However, for this revised fourth generation model, Toyota's taken the opportunity to give the design a cleaner look. At the front, slimmer bi-LED headlight units have been introduced, helping create a stronger horizontal line that emphasises the car's wide and planted stance. There are also revisions to the bonnet and the front bumper, plus smarter combination lamps at the rear. Inside, Toyota has tried to improve the perception of quality, improving the upholstery and adding a piano black treatment to the fascia. The Toyota Touch 2 multimedia system has been improved with the seven-inch touchscreen now engineered to respond to pinch, flick and swipe gestures like those used on smartphones. As before, the cabin continues with the theme of mounting all the useful displays and information in the centre of the cockpit rather than putting the dials directly in front of the driver. Instead of an instrument binnacle behind the steering wheel, the speed and other info is shown on an upper information display mounted just below the front windscreen. This gives a much greater sense of space inside the cabin than most rivals. The boot is over 500-litres in size and if extra space is needed, the rear seats can split 60/40 and fold down. Prices sit in much the same £25,000 to £30,000 bracket as before: that's for this standard model. A Plug-in model continues to be offered for those who want to go further on battery power, but that's costed in the £32,000-£34,000 bracket. Assuming you want to stick with the non-Plug-in model we're looking at here, you'll find that equipment levels have been much improved with this revised design. The entry-grade 'Active' variant gains the improved Toyota Touch 2 multimedia system and the dusk-sensing bi-LED headlights with Automatic High Beam. Plus you get front fog lights, dual-zone automatic air conditioning and a reversing camera. Plus there's plenty of Toyota Safety Sense kit; a Pre-Collision System (including pedestrian recognition), Adaptive Cruise Control, Lane Departure Alert with steering control, Automatic High Beam and Road Sign Assist. Next up is 'Business Edition' trim, which gets you heated front seats, a Blind Spot Monitor with Rear Cross Traffic Alert, an auto-dimming rear-view mirror, automatic wipers, smart entry, a leather-covered steering wheel and soft-touch trim for the upper door sections. New options include Simple Intelligent Park Assist with front and rear parking sensors. The 'Business Edition Plus' variants adopt the brand's latest stylised 17-inch alloy wheel design with a contrast black and dark grey finish. Plus this flagship variant's colour head-up display gains turn-by-turn navigation directions. Also at this point in the range, you get a parking assist system with front and rear sensors, plus a thumping JBL premium sound system. All-wheel drive is available as an option. The top 'Excel' grade is unchanged, adding leather upholstery to the Business Edition Plus specification. When the Prius changed the game back at the start of the Millennium, the winning trait wasn't beautiful design or blistering performance. It was extraordinary fuel-economy. 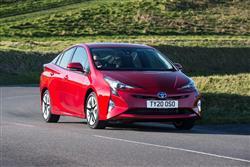 That's what the Prius has championed throughout its regenerations but in more recent times, a plethora of plug-in hybrids and pure electric cars have threatened to make this one redundant. Here's Toyota's response. For the AWD-i variant, the figures are 58.7-64.7mpg and 85g/km. The hybrid powertrain hasn't changed for this revised model, but Toyota has adopts a low viscosity engine oil for it to reduce the pistons' sliding resistance and so help maintain excellent fuel efficiency. Emissions performance complies with the latest Euro 6d standards. As before, Toyota continues to offer a pricier Plug-in version of this car for those that want a longer all-electric driving range. 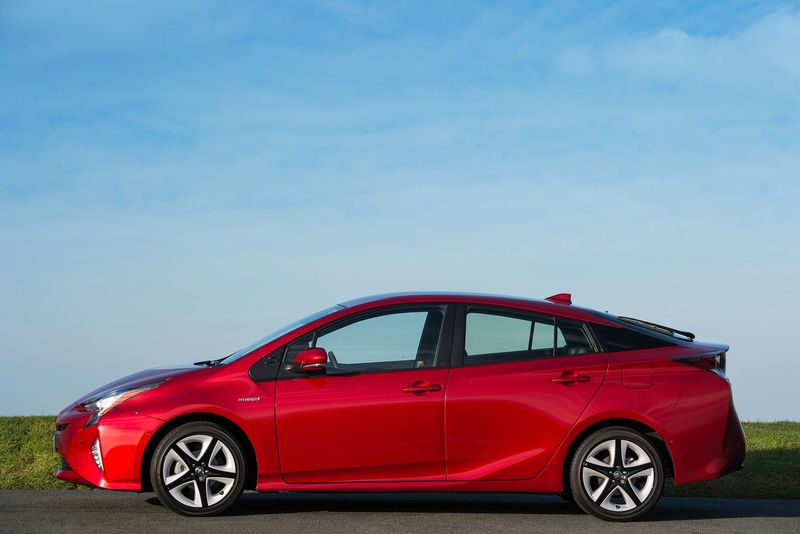 Being a Toyota, quality is ingrained in the car-building process, so costly faults are unlikely to arise but just-in-case, the Prius comes with a 5-year/ 100,000 mile warranty. Despite the modest increase in price, the residuals should remain relatively strong when it comes time to sell it on. If you�re looking for a new Toyota Prius 1.8 VVTi Business Ed Plus 5dr CVT [15 inch alloy] Hybrid Hatchback for sale, you�ve come to the right place. At Bristol Street Motors we don�t just have the best Toyota Prius 1.8 VVTi Business Ed Plus 5dr CVT [15 inch alloy] Hybrid Hatchback deals, we also offer friendly advice and help with all your enquiries to ensure your buying experience is a happy experience.